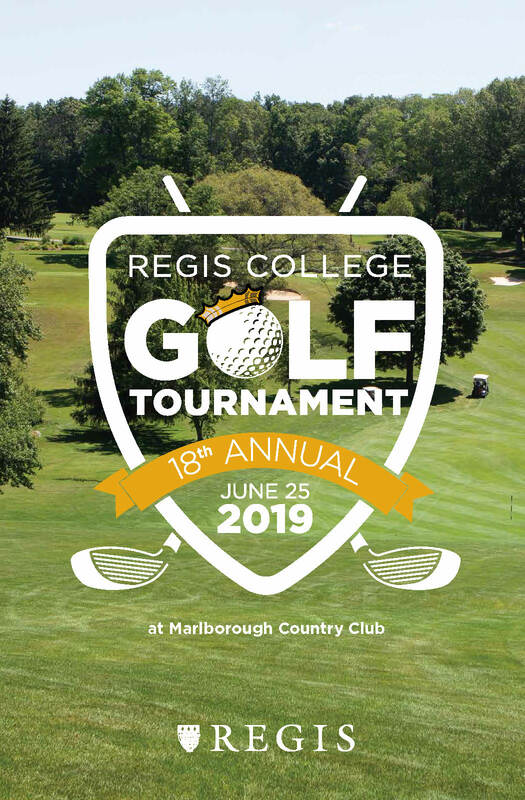 Please join us on June 25 at the beautiful Marlborough Country Club for a day to benefit Regis College Pride Athletics and Student Life. Students come to Regis to launch successful careers and change the world. But often it’s their athletic and student life experiences that truly shape their character. Our 20-sport Division III athletic program instills the values of team work, dedication, and perseverance. Our student leaders engage the campus in meaningful and fun activities that create a vibrant community. Nearly all our students participate in service locally, nationally, or internationally. Your support of the Regis Golf Tournament will improve our athletic facilities, provide student leadership opportunities, and contribute to service-learning trips around the globe. Please register or sign up as a sponsor no later than June 1, 2019. For questions, please contact 781.768.7151.